Elizabeth David's books belong in the libraries of everyone who loves to read and prepare food and this one is generally regarded as her best; her passion and knowledge comes through on every page. She was one of the foremost writers on food in the latter half of the 20th century and this book has her most celebrated writing. "French Provincial Cooking" should be approached and read as a series of short stories, as well written and evocative as the best literature. The voice is highly personal and opinionated, sometimes sharp but always true and always entertaining. Here is a long essay on French cuisine, offering background stories and sketches of recipes more than the slavishly didactic type of recipes that most modern readers might be used to today. 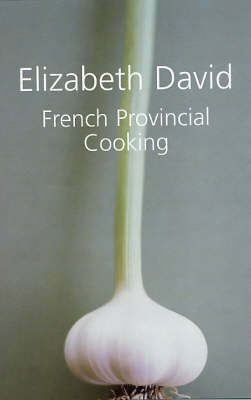 For many Elizabeth David was the first to introduce us to the French notion of la cuisine terroir, sometimes interpreted as 'what grows together goes together'. For David, this is the heart of regional cooking, and the thing which most distinguishes it from cooking in haute cuisine restaurants where diners arrive at any time or any season and expect to be able to order any well known French specialty.